Cut of the eggplant crosswise into 1” thick rounds and season them with salt and leave them for 30 minutes on a side to let water to come out of the eggplant. 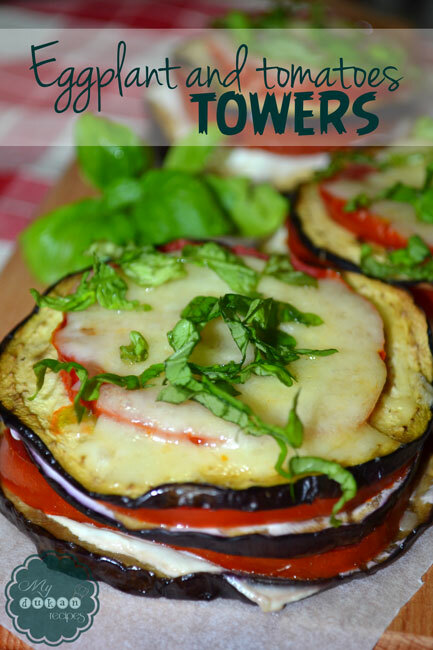 Once ready drizzle some olive oil on top of each slice and grill them on a lightly oiled grill rack for 2 -3 minutes each side. Cut the tomatoes crosswise to 1/4” thick rounds. 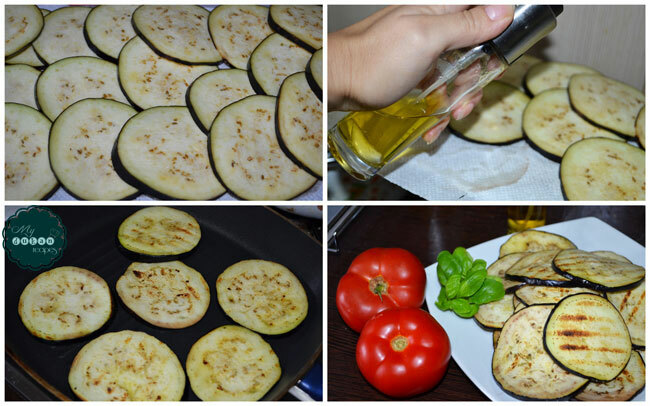 Arrange 4-5 eggplant rounds side by side. 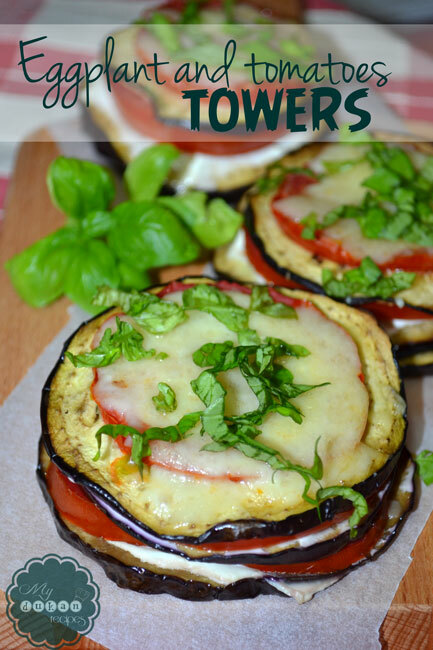 Top each slice with cream cheese and tomato rings. 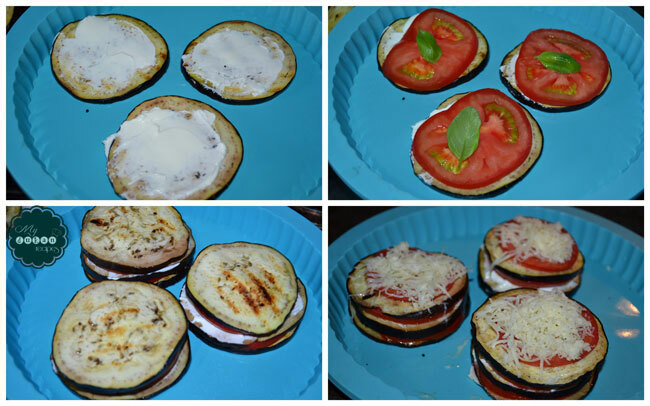 Add another layer of eggplant, basil spread, minced garlic, cream cheese and top with some fat free cheese.